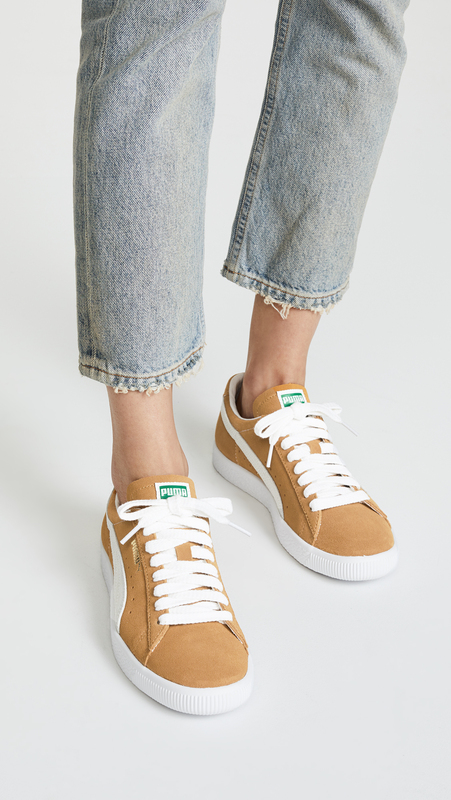 I think these Pumas are so cool—and even quite versatile—in mustard yellow. I also like them in purple, and this improbable-but-it-works maroon and orange platform pair. 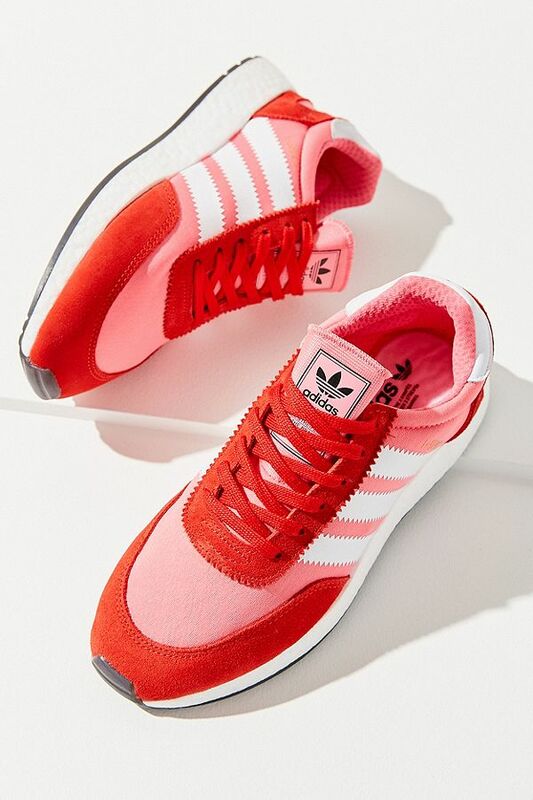 These Adidas originals are so excellently candy-colored. 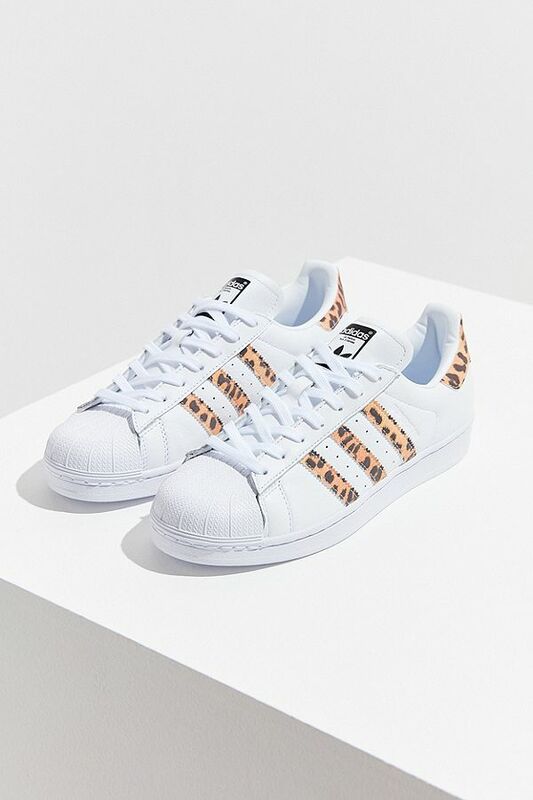 This pair is by the Brooklyn-based sneaker company Greats, and I find them quite graphic and appealing. I wish I had a lipstick in this color—it’s a perfect plum. 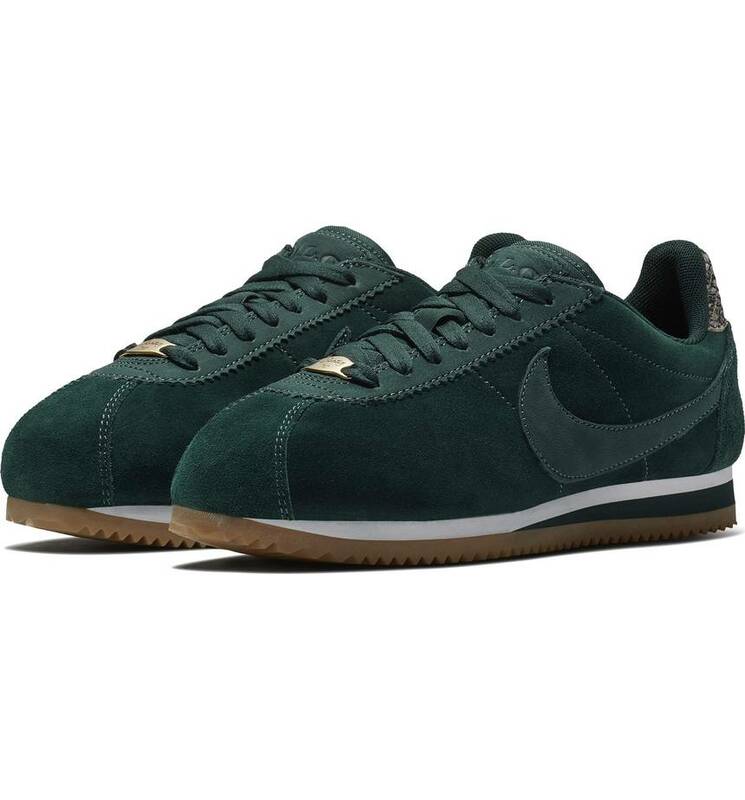 This is such a good dark green, and they’ve got a little snakeskin detail on the tab, which I like. OK, these aren’t all that colorful, but why not have just a tiny bit of fun with a leopard-striped pair? 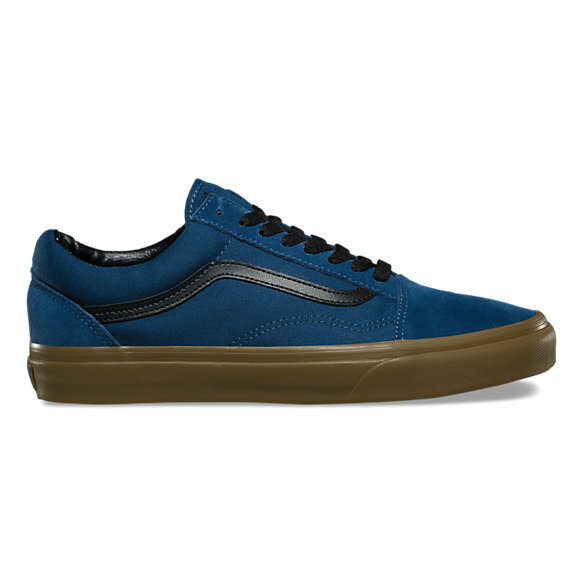 Of course I love the blue and black color scheme of these Vans Old Skools. Here is an easy way to indulge the trend for all things lavender, if you’re feeling it. Also: this. The colorblock situation here appeals. I also like them in gold. Such a happy, poppy pink. 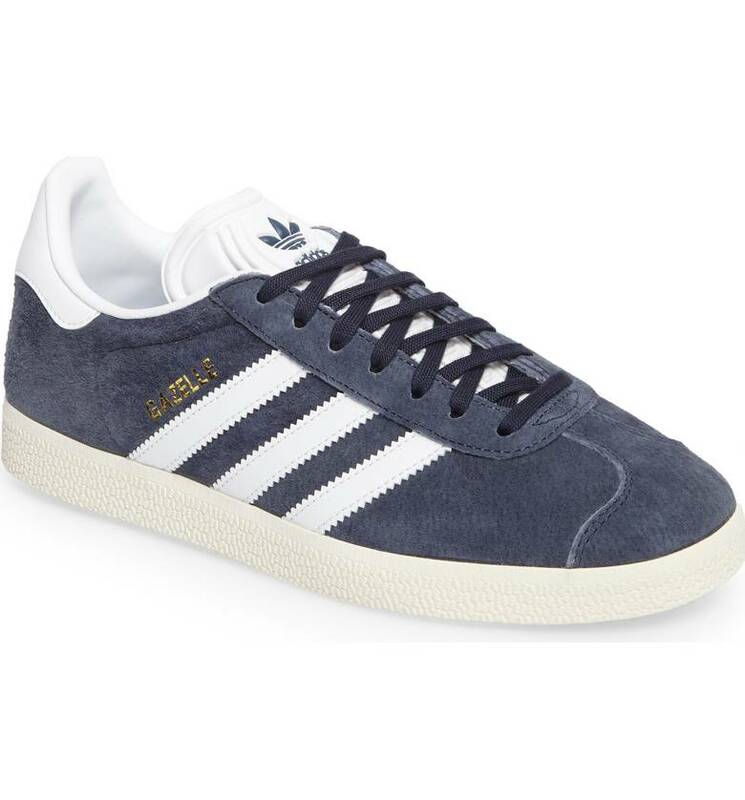 I like the slightly faded-out blue on these Adidas Gazelles. 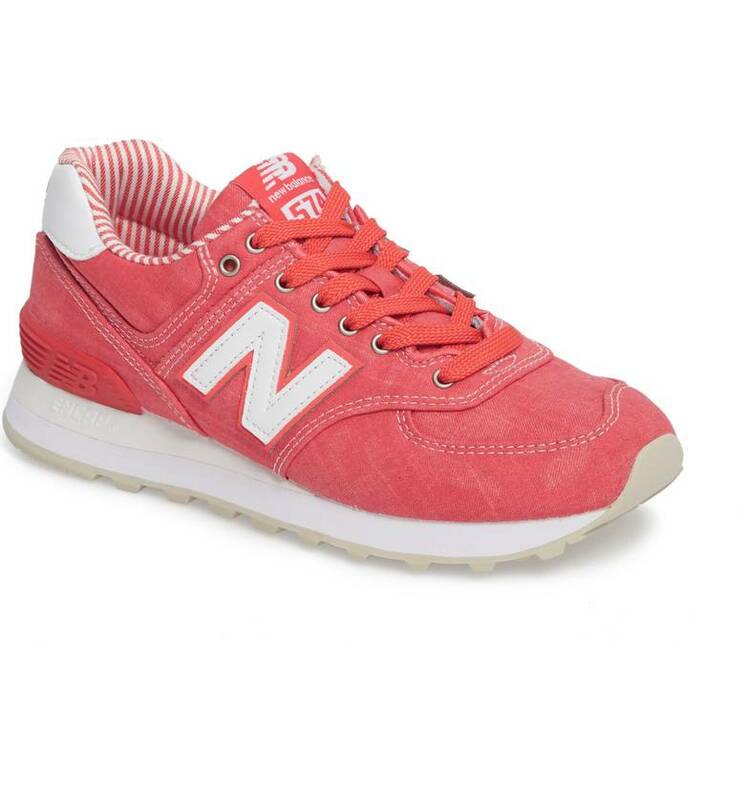 And I also I dig the striped lining on this chambray pair from New Balance. I think these are spectacular. And these have way too much going on, but it all kind of works. The dark green Nikes are going to a different link. How terrible is it that I want EVERY SINGLE PAIR?? Great roundup! 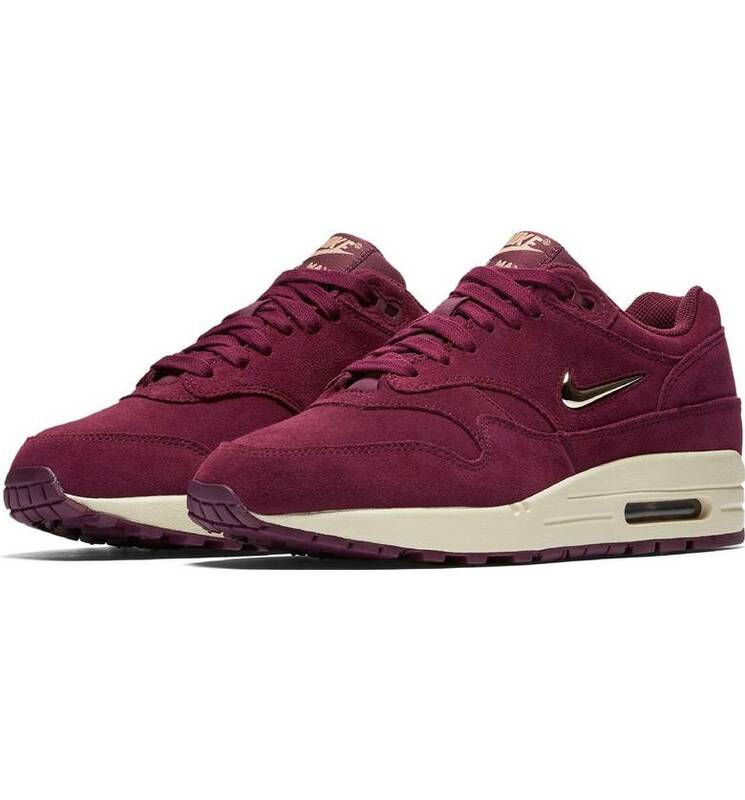 I particularly love the bordeaux Air max sneakers and the suede Nike Cortez. I’m also partial to maroon Adidas sambas, a la that movie Trainspotting. Great roundup! 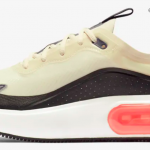 I particularly love the bordeaux Air max sneakers and the suede Nike Cortez. I'm also partial to maroon Adidas sambas, a la that movie Trainspotting. I love the Adidas and Puma ones the best. I live in these sort of “shoes”. Do slip-ons (like Vans) count as sneakers? They are my faves. I love the Adidas and Puma ones the best. I live in these sort of "shoes". 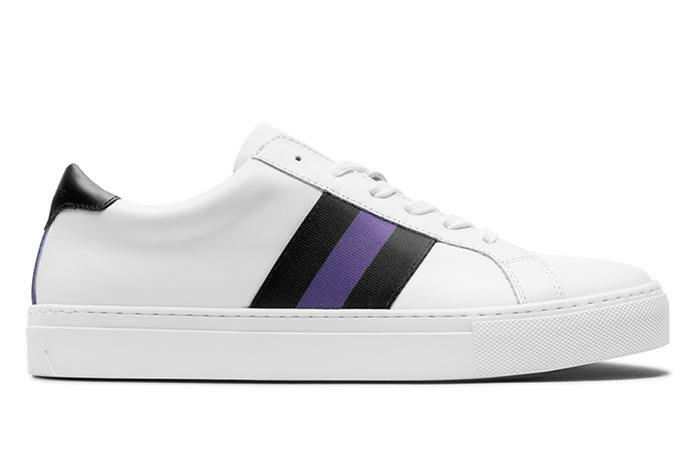 Do slip-ons (like Vans) count as sneakers? They are my faves. 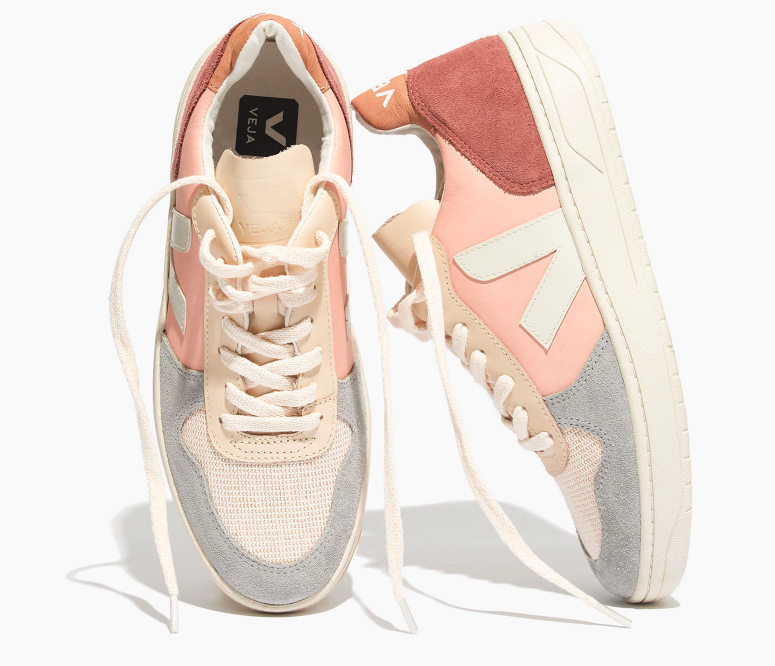 So great to see Veja sneakers, given the many requests for more eco-friendly options. That said, I had a pair of Vejas in a slightly different style, and they were uncomfortable – I could barely get through a day of wear. Others have had different experiences, so I suggest prospective buyers check out the return policy and wear them for a while on carpet. 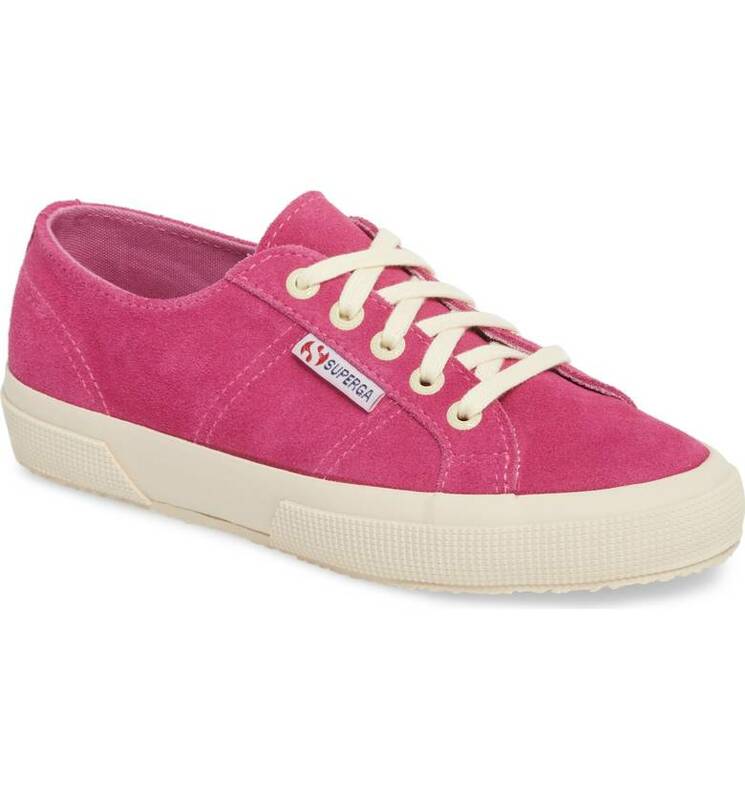 So great to see Veja sneakers, given the many requests for more eco-friendly options. That said, I had a pair of Vejas in a slightly different style, and they were uncomfortable - I could barely get through a day of wear. Others have had different experiences, so I suggest prospective buyers check out the return policy and wear them for a while on carpet. I was happy to see the Vejas also. 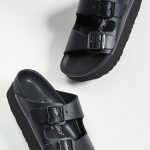 Though I agree that the leather is perhaps too thick (or something) and they are not for all-day city walking. I bought those cool-looking maroon and orange Pumas a few months ago and returned them because they’re weirdly heavy in weight. I bought those cool-looking maroon and orange Pumas a few months ago and returned them because they're weirdly heavy in weight. I got the Pumas in dove grey recently, absolutely love them. Would def buy in the mustard if i saw them in DSW (where I impulse bought the grey ones) Great picks!! Kim, is there a way to delete a post here? Sure, Mary Alice, I can delete your comment, but I liked it and the sneakers were way cute. The link I posted accidentally became some sort of screenshot that showed all my bookmarks. I was a little uncomfortable with that. 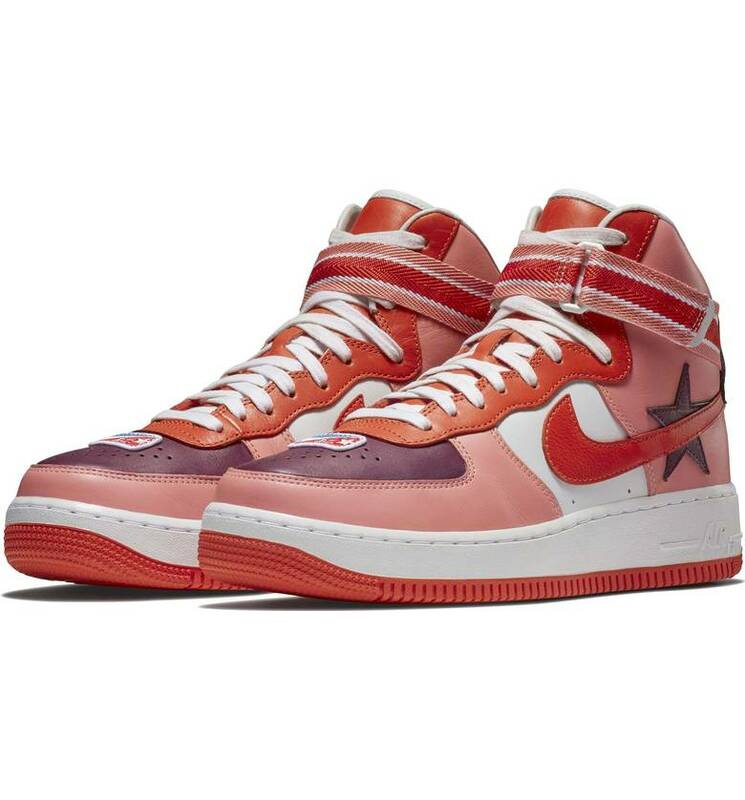 The sneakers are SO cute. I was born & raised in LB and live here still so they mean a lot to me, plus I love old school sneakers…. I was so touched that my daughter spent the time and effort to hunt them down – she found them on Ebay. Thank you Kim. The link I posted accidentally became some sort of screenshot that showed all my bookmarks. I was a little uncomfortable with that. 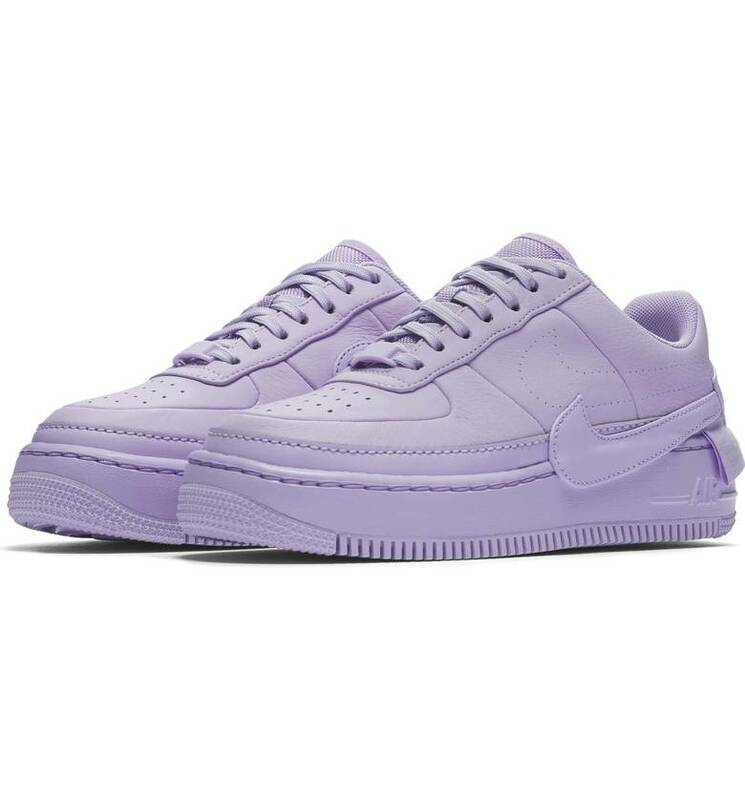 The sneakers are SO cute. I was born & raised in LB and live here still so they mean a lot to me, plus I love old school sneakers.... I was so touched that my daughter spent the time and effort to hunt them down - she found them on Ebay. I have had a pair of classic blue Adidas that I love, and have worn for years. 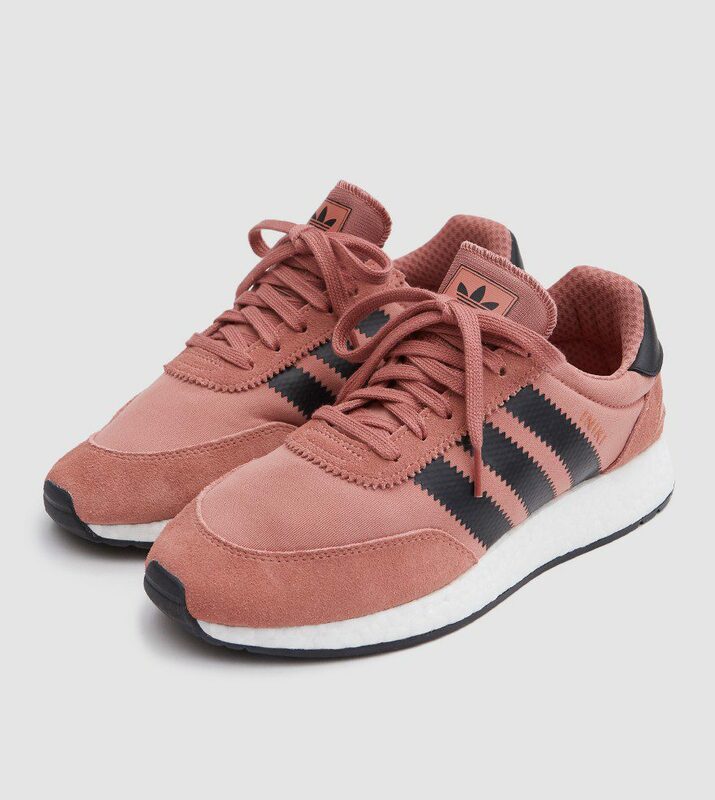 I was very disappointed this year when I started in a “learn to run” program, and discovered that “serious” running shoes were all hideous, and the colours were all very gendered: fluorescents, pinks, and purples. At least the men’s were grey, blue or black. I ranted at some length to the poor guy at the Running Room about this, who meekly agreed with me. And I then dropped $150 on a pair of monstrosities from Brooks. I have had a pair of classic blue Adidas that I love, and have worn for years. I was very disappointed this year when I started in a "learn to run" program, and discovered that "serious" running shoes were all hideous, and the colours were all very gendered: fluorescents, pinks, and purples. At least the men's were grey, blue or black. I ranted at some length to the poor guy at the Running Room about this, who meekly agreed with me. And I then dropped $150 on a pair of monstrosities from Brooks. Anyhow, good for you for getting out there and having fun. Photos please, or it didn’t happen. (Kidding!!! I am just nosy and like to see shoes and see what people consider hideous.) Anyhow, good for you for getting out there and having fun. Know anything about the Allbirds that are so popular? I’m tempted..
Know anything about the Allbirds that are so popular? I'm tempted..
Allbirds are amazingly comfortable and you can throw them in the washing machine. You can also order replacement insoles and laces. I like the plain-wrap look of them, and I always wear them for travel. Allbirds are amazingly comfortable and you can throw them in the washing machine. You can also order replacement insoles and laces. I like the plain-wrap look of them, and I always wear them for travel. I know a few New Yorkers who wear and love them, and they walk around the city a lot. My brother-in-law put different color laces on each foot, just to jazz his pair up a bit.